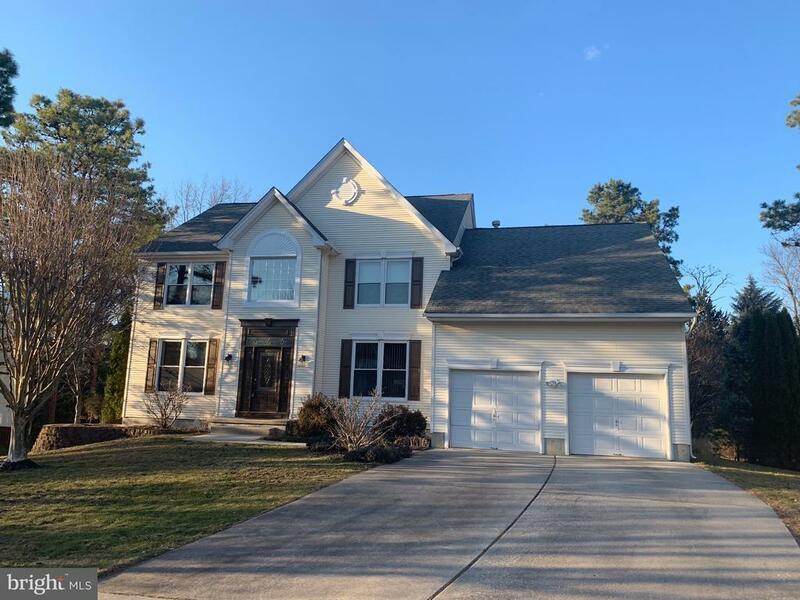 Ever popular 4 bedrooms, 3 1/2 bath expanded Newbery model in Voorhees Crest backing to the woods! 2 story foyer, with beautiful crystal chandelier, 9-foot ceilings, plus first-floor study. The bright sunny kitchen offers newer stainless appliances, 4 door refrigerator, granite island and bumped out breakfast room with French Anderson doors, vaulted ceilings in the FR with lots of windows and gas fireplace for those winter nights. Hardwood floors throughout. The upper level has 4 bedrooms, all with great closet space. The expanded master suite has a sitting room and luxury bath. You will be surprised by the wonderful finished basement with full bath and sauna. Theres also storage and a playroom. Dont forget all the other goodies. 2-level deck with hot tub, new carpets, fresh paint, security system, sprinkler system, some new windows and freshly painted in and out. Hurry the Reserve is a wonderful community with its walking trails and private pond. Close proximity to the hospital and 295.